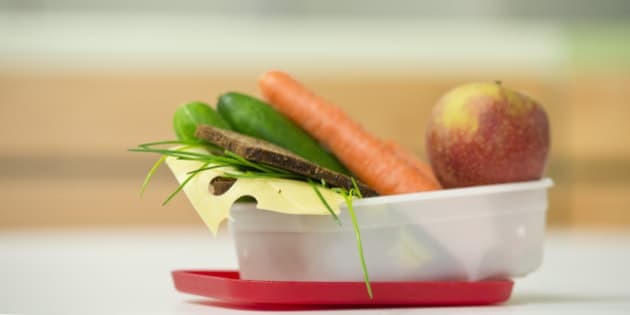 Let's face it, packing school lunches every day can feel monotonous and uninspired, especially when they keep coming back at the end of the day half-eaten. So what's a parent to do? 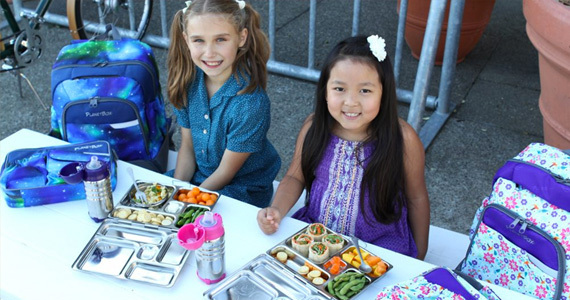 How can you take school lunches from drab to fab and get your kids to eat, and possibly even enjoy their food? 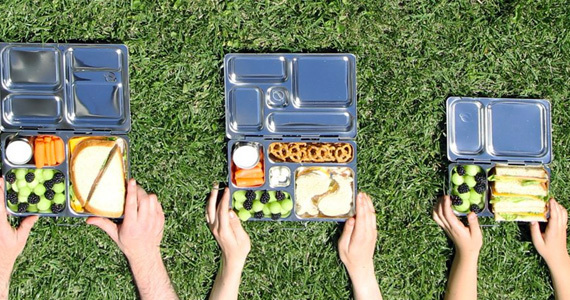 Use lots of compartments - Bento Boxes, like the Rover or the Launch by PlanetBox, are my favourite style of lunch boxes because they compel you to add a ton of variety (ideally in the form of colourful fruits and vegetables) to your kid's lunch. Plus, here's a secret - the more variety and colour you provide, the more your child will eat, which is great when you are trying to get them to eat more produce. Serve frozen treats - Kids love bright colours and frozen treats and research shows that bright colours make you eat more...which is a good thing when you only pack healthy food. I love Sunsella's Mighty Pops, which are popsicle molds made out of silicone. Simply blend up a healthy smoothie, pour it into your popsicle molds, freeze them overnight and then throw them in your child's lunchbox before sending them off to school. Treat them like grown-ups - There's no need to serve sandwich bread and cold cuts, which are generally nutrient-poor and bland. Exposing children to a variety of different meals will help them develop a more mature palate. Try bean salads, quiches, chicken kabobs, turkey sausages, meatballs, stir-fry's, or Buddha Bowls. These foods can be eaten cold, and if you pack a Spork (a combination between a spoon and a fork), they will feel like they finally got to eat at the grown-up table. Make water more appealing - Let's be honest, drinking plain water can bore even the healthiest of us. Kids love the taste of fruit, so why not throw a bunch of fresh fruit (and maybe even some fresh herbs) into their water bottle to add a zing of flavour? Watermelon, berries, pineapple, kiwi, lemon, and lime are big hits in my home. The Thermos Funtainer Bottles are great, will keep your water nice and cold, and they come in a ton of different designs. Send non-food treats - Sending a note or non-food treat in your kid's lunchbox can make them feel loved, especially when they are having a rough day. This is where photos, stickers, $0.25 bouncy balls from Old Navy or pre-printed Lunch Love Notes can save the day. With age-appropriate themes like riddles for the little ones and inspirational messages for the tweens, these notes will work for every age. Rely on Pinterest - Pinterest is a fabulous source of ideas and inspiration. No need to recreate the wheel, especially when you are pressed for time. 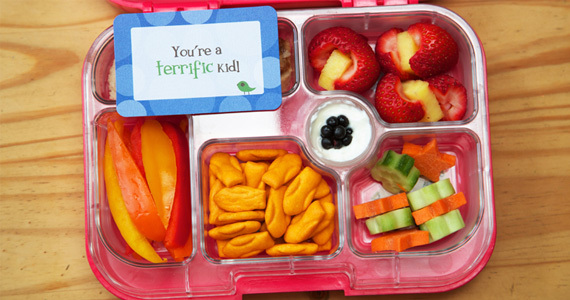 Find meal ideas, lunchbox hacks, printable jokes and notes, and allergy-friendly snacks. Just make sure to set a time limit or you could end up down the Pinterest rabbit hole, never to be seen again! I would love to know how you make school lunches more appealing. Please share your tips and tricks in the comments section below! Photo credit for images 1 and 2: Planetbox. Photo credit for image 3: Say Please.